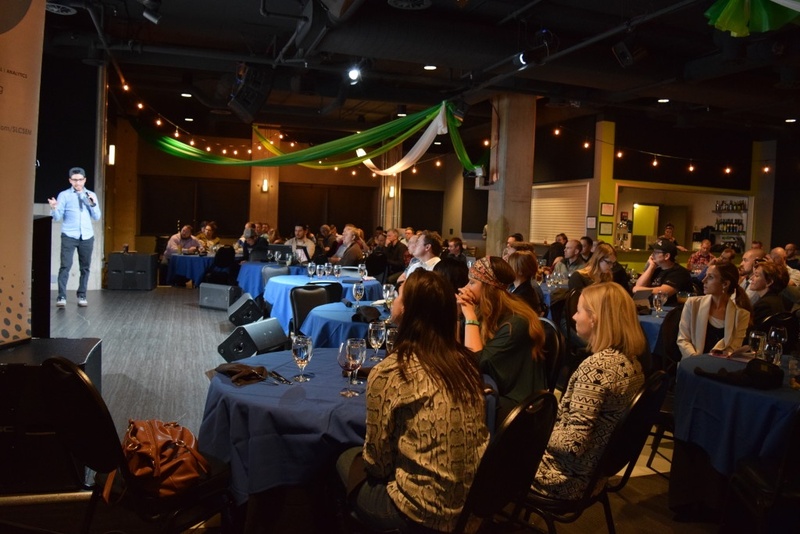 Digital marketers from up and down the Wasatch front dove into the organic side of social media for our latest event, Social Media Selling & ROI featuring Kristy Honsvick of Admin Ease and Gabe Villamizar of HireVue. The event was focused on honing in on the appropriate social platforms for your business or brand as well as leveraging your personal accounts to “sell” on social media. With Fall rapidly approaching and the end of the year drawing near, it seemed only appropriate that this month’s SLC|SEM theme was last minute SEO, SEM and social media tips to meet your end of year goals. I’m always impressed with the turnout for SLC|SEM’s monthly events and can plan on seeing plenty of new and familiar faces. It’s a great resource to have an association that supports Utah’s digital marketing community. These events are a fantastic opportunity for networking and to hear presenters discuss the latest search marketing trends, tactics and actionable tips.